Tonight a discussion on the rebuilding of Sparkhill Pool and Fitness Centre will take place at the Hall Green Constituency Committee. We would encourage all regular swimmers and gym users to attend to ensure that their views are taken into account at what could be a very important meeting in deciding who rebuilds, finances and manages the new facility. The procurement will be presented in full at this meeting. Amongst the options is Option 4: Design, build, operate and maintain by an external contractor. This clearly has ramifications for the way our leisure services are funded and managed. Both the Sparkhill Baths group and FoMRB have major misgivings about the role of the private sector in the city’s leisure services. As part of the Council’s ongoing plans for replacing Sparkhill Pool and Fitness Centre they have called a series of consultations for this week. So far it appears that consultations have not had any mention of how the building should be financed and managed, something which campaigners over in Sparkhill believe is absolutely fundamental to the kind of facility they end up with, and how it will be maintained. Councillor Mullaney is firmly in favour of a Private Public Partnership scheme, where finance and management will come from ‘Pulse Fitness’. But is this really what’s best for the facility and for the public? Either way, head along to one of the consultations and see if you can get some answers… and let us know how it goes! Sparkhill residents last night unanimously rejected proposals for a PFI-funded swimming pool on the Moseley School site in Springfield Road. Steve Beauchampé reports on a highly charged meeting (This article also appears on The Stirrer website). Council Cabinet member for Leisure, Sport and Culture Martin Mullaney came under fire for appearing to favour the Pulse proposals, finding himself isolated with not one member of the audience supporting the proposal, and even fellow Liberal Democrat Councillor Jerry Evans cautioning against the plans. Evans, who together with Respect Party Leader Salma Yaqoob, are contesting the Hall Green Constituency at the forthcoming General Election, were keen to distance themselves from what was clearly an unpopular proposal. They were joined in their opposition by Labour’s Roger Godseiff, the sitting MP. Mullaney however, as an elected council official, is legally obliged to give detailed consideration to Pulse’s intervention though there is little doubt that their plans hold for him the significant attraction of allowing the city to deliver a rebuilt Sparkhill Pool and undertake essential refurbishment works to re-open the Gala Pool at the Grade II* Moseley Road Baths in Balsall Heath within the £15m allocated to the two Hall Green Constituency projects by the Council’s Cabinet last October. Mullaney meets Pulse Fitness for the first time today (Thursday) to look at their plans in detail, though it is already known that their proposal would involve a six-lane pool with moveable floor, an 80 station gym, sauna and dance studio. School usage would be prioritised during weekdays (as is currently the case at most Birmingham pools) however a separate entrance would allow public access to the site (which also includes a sports hall and floodlit pitches – though these are not part of the PFI proposals). The meeting heard that the city council would continue to set the tariffs for public use of the new centre’s facilities but would be expected to meet an anticipated shortfall in running costs (which includes a fee payable to Pulse for operating the centre) of £228,000 per annum. If given the green light, the pool would be operational by 2013. Mullaney pledged full public consultation once talks with Pulse had been concluded and the final details of their proposals established, telling the meeting that public opinion would be “a very strong factor in our final decision.” The exact format and timescale of any public consultation exercise is yet to be determined but, Mullaney stated, would be conducted by Sparkhill Ward officials. 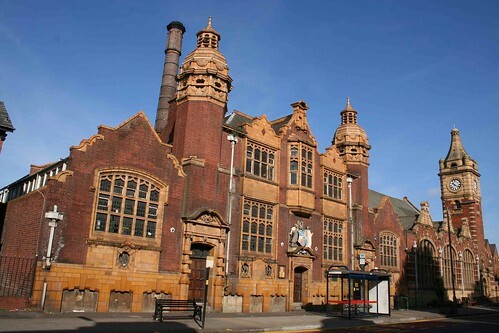 At the Friends of Moseley Road Baths meeting with Cllr Mullaney on 21st January we discussed options for funding swimming provision in Hall Green Constituency. Three options have been put on the table for the urgent work required to ensure that Sparkhill has swimming facilities. Two of these involve building new swimming facilities on the current site, with costs estimated at £10m and £13m respectively. A third involves a PFI pool at Moseley School as part of their new sports and leisure facilities which has been costed at £3m. The big-sell on this is that the less Council money spent on Sparkhill the more money will be available to re-open Moseley Road Bath’s Gala Pool. 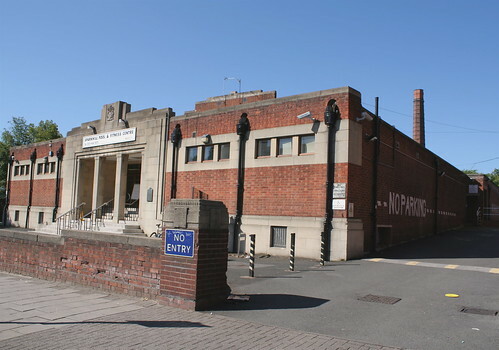 We welcome plans to re-open Moseley Road Baths’ Gala Pool and fully support the Friends of Sparkhill Baths’ calls to ensure that swimming facilities are provided in Sparkhill as soon as possible. However, we are fully behind the Friends of Sparkhill Baths in their opposition to the PFI model for our public swimming facilities. We also agree that Sparkhill Pool should remain on its current site, whether that means utilising the facade of the existing pool or rebuilding on the Stratford Road site. You can read more about the plans and politics around it on The Stirrer website – here and here. 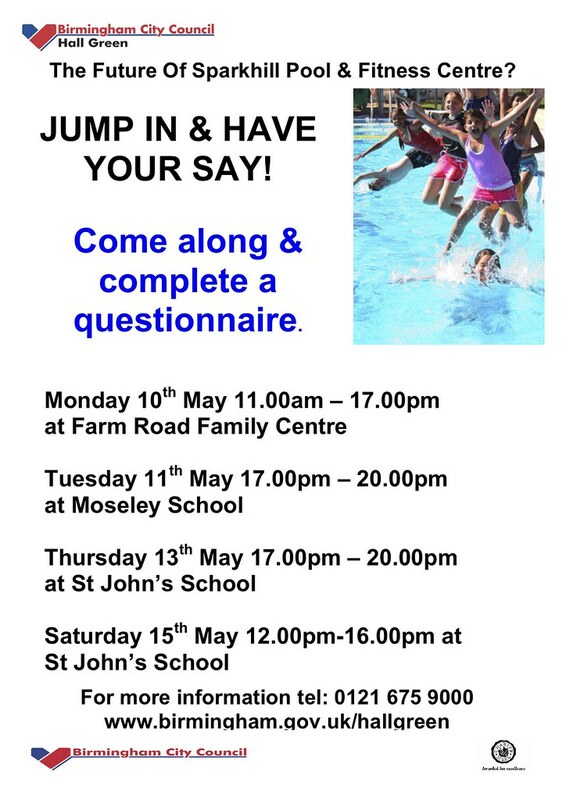 In the meantime we are urging Cllr Mullaney and council officers to ensure that consultation and decisions around the future of swimming provision at both Sparkhill and Moseley Road Baths are transparent and accountable. Our local pools are in such a dire state because of years of short-term planning, lack of proper investment and politicking. Let’s ensure that good quality provision, accessibility and the needs of the immediate community are put at the heart of new plans. There will be a meeting at 6.45pm on Wednesday 3rd February at Sparkhill Social and Cultural Centre on Stratford Rd, next to the swimming baths for all those interested in the plans. Cllr Mullaney has decided not to attend the meeting, but it is hoped that he will reverse this decision and use the opportunity to speak directly with the public on this issue. NB. We have since learnt that Cllr Mullaney WILL be attending this meeting.